. كما يقدم Anchordown Apartments الكثير من الخدمات لإغناء رحلتك في جولد كوست. إن تسجيل وصول/خروج سريع, تخزين الأمتعة, واي فاي في المناطق العامة, صف السيارات, خدمة الغرف هي جزء فقط من الخدمات التي تميز Anchordown Apartments عن باقي الفنادق في المدينة. تتضمن كل غرف النزلاء وسائل الراحة والتسلية المصممة خصيصاً لضمان الراحة القصوى للضيوف. يقدم الفندق خدمات رائعة كمثل حوض استحمام ساخن, مسار جولف - ضمن 3 كم, حمام سباحة خارجي, سبا, حديقة لمساعدتك على الاسترخاء بعد نهار طويل من النشاط والتجوال في المدينة. استمتع بخدمات لا يعلى عليها وعنوان ذو اعتبار في Anchordown Apartments . We had a group of 5 and were pleasantly surprised to find a proper king single as the extra bed. The room was big enough and clean, but there were a few maintenance issues that need to be attended to (broken cupboard doors, chipped tiles, some rust in the bathroom and windows that don't slide properly). Things that didn't matter too much for a weekend, but probably need to be seen to. The best part about staying here was the pool area. The pool was large and clean and the temperature was fabulous. The spa was a great temperature, but only has constant very light bubbles. The location was okay with about a 10 minute walk to centre of Surfer's Paradise. There is no lift in the three story units, so not really a problem for us, but may bother those with mobility issues or small children. This property was what I would expect for the price we paid. Room in dire need of renovation with very old furniture. Apartment had heaps of cockroaches ! Great place to stay for great value. The kids had a BRILLIANT time in the heated pool and hot tub. Booked 10 months in advance. Got there 20 to 5pm as reception shuts at 5 gentlemen checking me in was rude, didnt tell us where room was or garage left to find ourselves. Charged a $200 bond with no notice and he took a personal call on his mobile whilst serving me. Got to room on 3rd floor with 3 small kids apartment stunk, no kitchen light, dirty dishes, kitchen and bathroom. Clump of hair on lounge room floor and no bed for my son. Callec reception had to wait 2 hours for bed and when i complained about filthy state manager just smiled and laughed. They came to clean next day apartment looked the same. They came again to clean for a 3rd time. Very loud backpackers across road and no noise limits adhered to buy other guests at apartments. Upon check out they took 30mins to go over apartment then lady couldnt work out eft machine to give back bond. Highly recomnend NOT staying here. There are similar places in surfers paradise that are 100 times better. Everything was good except for the shocking note on the wall for all the cleaning prices ... I understand that apartments are self service. But the last thing holiday goers want to see is a $200 bond going down the drain for nothing, over something that you can fix for $2. We left the apartment in a better condition than what we arrived. But I would highly recommend that you wash the bed spread because I'm not sure if they washed the blanket before us. Also only book this if you don't mind cleaning up after yourself to save you more hassles later. Keep in mind this is a self service facility. You get what you pay for. There were many signs telling you that if you touch this, you have to pay. You can see all those $ signs in most of areas, such as - Bring your key with you or else you have to pay AUS$150, if you wish to have air conditioning on - AUS$10 per night. You need to clean and tidy the room for the next user, or else you have to pay xxxx, if you failed to check out before 10 am, you have to pay extra xxxx. A group of 6 of us were scared to touch anything as you have no idea how much to have to pay extra! Not recommend to anyone to stay and the accommodation is a bit tried! Proximity to all amenities, quiet location. My recent stay at Anchordown apartments was quite good. The staff were ready to please. No surprises. 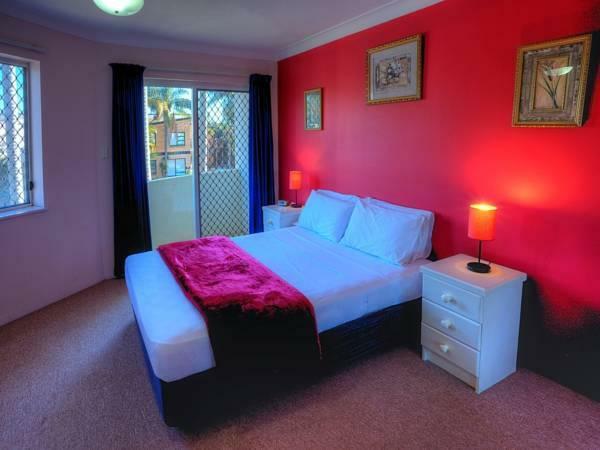 Great location very close to central Surfers Paradise, without the noise and traffic. Apartments were a little bit dated, but still quite serviceable. I would stay there again. 2 page list of breakage charges etc.., additional cost for everything from late fees to using the aircon- very off putting. Apartment did not have a dishwasher and only 1 sachet of dishwasher detergent left for 3 people plus baby for two nights. Same for the 20ml container of milk and 4 teabags, coffee and sugar - seriously - your allowed one hot drink a day? Cooking equipment old and dirty. No floor cleaning products but of course penalty cost for not cleaning. Much better off to stay in a hotel with house keeping and eat out for similar money. 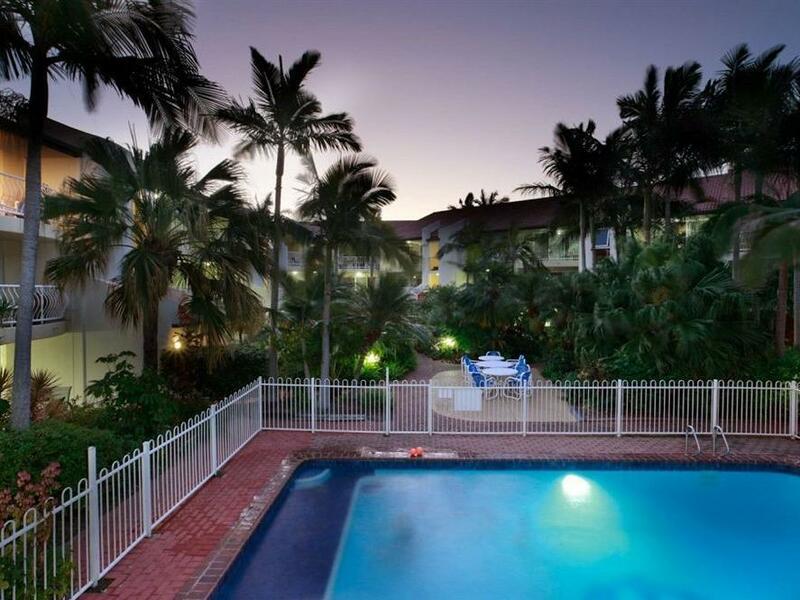 You can walk to everything in Surfers, relax by the pool and have security parking. I have stayed here a few times but sadly, it is getting older and needs renovation. Past rooms have been much nicer! Front rooms on the street are extremely noisy at night with revellers returning at all hours. Cleaners clearly missed the balcony table which looked like an animal had been slaughtered on it. Managers are keen to help and are friendly. It was ok. The aircon is free now, so that is good, however it is only good for the main areas - rooms remain hot & stuffy. Accommodation is clean & in good working order. I have issues with the toilet / bathroom having almost non-existent ventilation. Internet can be bought but only can be paired to 1 device, sometimes it is really slow (might need to switch to another wifi as they have multiple wifis for the internet service like "internet1", "internet2", "internet3", etc). Staff are fairly helpful when asking for directions, they are fairly responsive whenever you call, whether during or after hours. Late check-in is fairly smooth (keys in safe, gotta call them to get the safe code). Finally regarding my bond incident: no one in my group or anyone in our accommodation during the stay smoked but they took my bond without notice claiming there was smells of smoke. I disputed this and they returned my bond. Glad that resolved well.